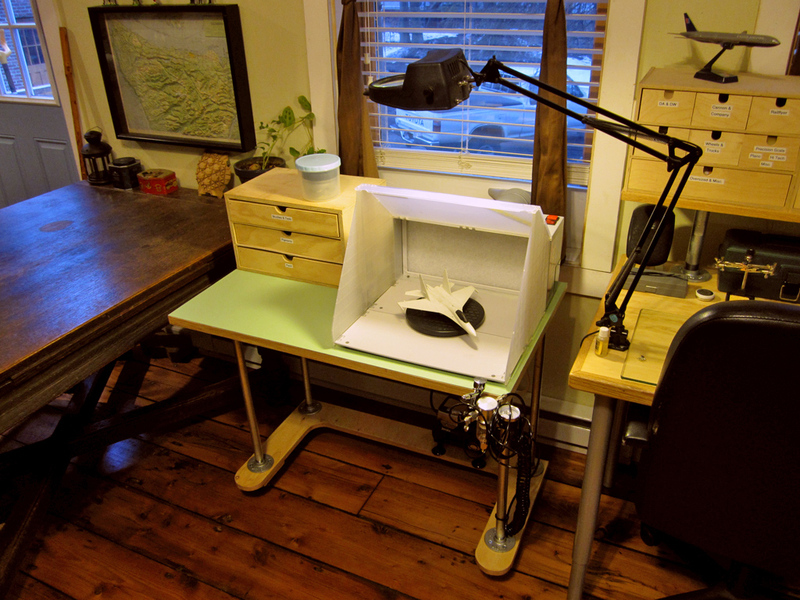 My new under-layout workbench. Where everything is organized and within easy reach. I didn’t do much modeling over the summer. 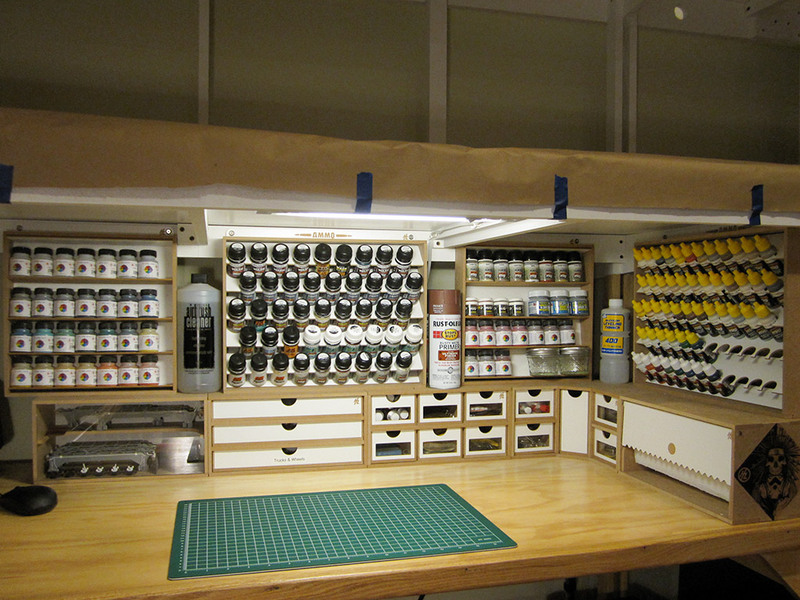 I’d been increasingly dissatisfied with my little workshop and storage system. A big issue was the fact that I never seemed to have the correct paint, detail part, styrene thickness, etc. when I needed it. Earlier I had begun a process to list everything I thought I should have “in stock” but while I was prepared to spend the money for all this new stuff, I had nowhere to put it. My new spray booth and painting desk.